“AutoScroll” lets you middle-click on a empty area to pan-scroll in any direction by moving mouse. 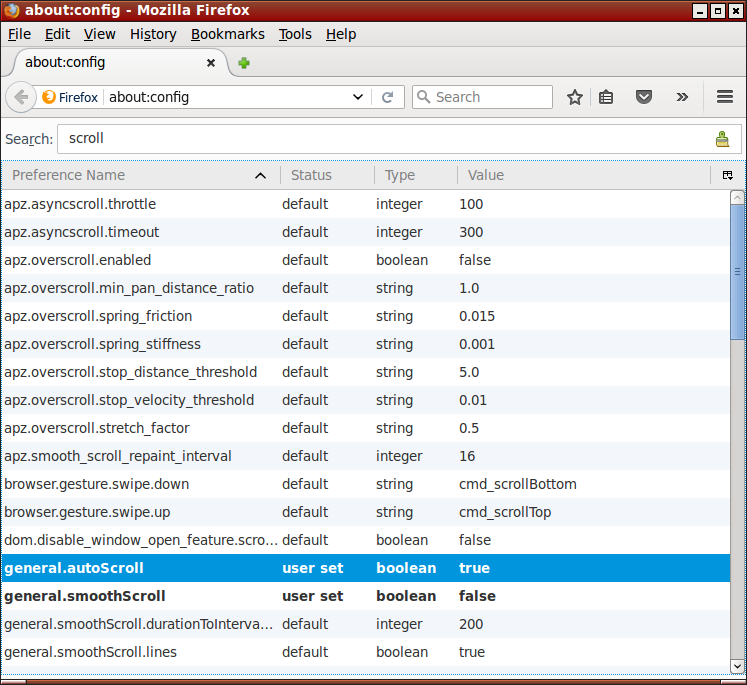 In Firefox Linux, it's not turned on by default. In the URL bar, type about:config, press Enter. In the search box, type “autoscroll”. Double click to toggle general.autoScroll to true. The middle click is usually the mouse wheel, which is difficult to press. Buy a mouse with lots buttons, assign one to middle click.